HCL Technologies' strong first quarter results could not convince brokerage major CLSA to upgrade its rating for the company's stock. 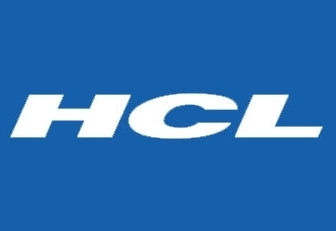 CLSA on Thursday maintained its "underperform" call on HCL Technologies' stock, with a price target of Rs. 580 a share. The brokerage said the India's fourth largest software services exporter's top line performance appeared to be coming to an end, and added that top line would impact its re-rating prospects in future. In a recent note to its clients, the brokerage said, "We would take money off the table... Revenue growth has now decelerated for six consecutive quarters." A day earlier on Wednesday, HCL Technologies beat analysts' estimates by reporting a 78.1 per cent rise in net profit to Rs. 884.8 crore for the quarter ended September 30, from Rs. 496.7 crore in the corresponding period of previous year. Dollar revenues climbed 3.15 per cent to US$ 1113 million in the same three months and profit after tax jumped 3.7 per cent to settle at US$ 161.78 million. The company's earnings before interest, tax, depreciation and amortization (EDITDA) climbed from Rs 1300.8 crore to Rs 1351 crore; while EBITDA margin jumped by 23 basis points to settle at 22.2 per cent in the September quarter. Revenues grew 2.9 per cent to Rs 6,091 crore during the same period. The company announced an interim dividend of Rs. 2 per share.